In March of 2010, I had the opportunity to preach to members of Congress and their staff who were gathered at the worship service held inside the Capitol just prior to the vote on Obamacare. In that sermon, I told them that Christianity transforms politics and government, because every human being in Christ has access to God as his son or daughter. Therefore the voice of the people matters, representative government makes sense, and power becomes service, authority becomes a duty to protect human rights. “The Obama administration has turned down repeated requests from Catholic bishops, hospitals, schools and charitable organizations to revise its religious exemption to the requirement that all health plans cover contraceptives and sterilization free of charge. An additional year to do what? No, we don’t need an additional year nor an additional moment to adapt, study, consider, weigh, balance, or decide whether we are going to pay for the killing of human beings. The answer is no. 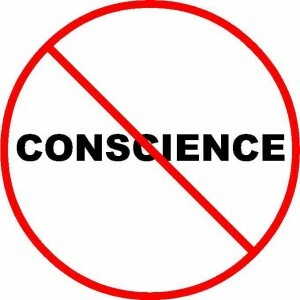 Keep your year, and give us back our freedom of conscience! The day before the Administration made this announcement, the Pope addressed a group of American bishops who were making their regular, obligatory visit to update the Pope. He mentioned the “worrying tendency to reduce religious freedom to mere freedom of worship without guarantees of respect for freedom of conscience.” That’s what the President and his team are doing. Go ahead, worship in whatever Church you want, he tells us. But if you run a hospital or other entity, you have to do it our way. The US bishops have written in Living the Gospel of Life that Roe vs. Wade poisons our entire society. This latest inflexibility in the face of conscience is a good example of that. It is, after all, about abortion. Its fanatical advocates will stop at nothing to expand it, including throwing religious freedom and the Church itself out the window. What this also tells us is that elections matter. It would be wise for the Church, in tackling this problem, to plan what we are going to do regarding the elections, rather than spending all our energy trying to put the toothpaste back in the tube after it’s been scattered all over the room. Let’s elect more public servants who know the difference between serving the public and killing the public. Is Righteousness in Government Possible?